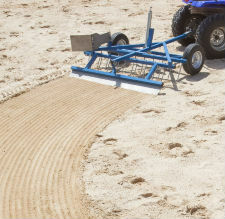 Engineered for all kinds of arena surfaces, the Arena Rake and Arena Rake Pro have been proven successful not only on sand but also clay, wood-chip, rubber, composites and Soiltex. Both Arena Rake versions are the rake of choice for many of the world’s top riders including Steffen Peters, 2009 World Cup Dressage Champion. The Greystone Arena Rakes have been designed to maintain your arena quickly and easily to give you and your horse the best riding surface possible. Aerates and grooms your surface back to as new condition in minutes. Click here to Order the Arena Rake Pro! If you have a question that is not on our list of frequently asked questions, please email us and we will answer your question and add it to our site! What Sets The Greystone Arena Rake Apart From Competitors? 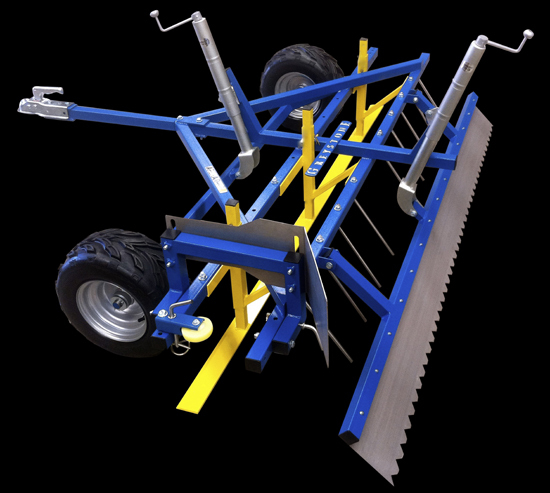 With so many Arena Rakes on the market our affordability, ease of use and consistency of quality the Arena Rake delivers time after time really set us apart from the crowd. 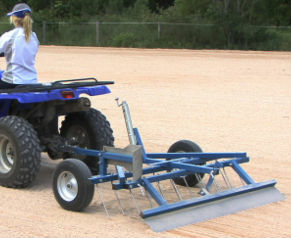 Horse owners across America and Australia are thrilled with the difference the Greystone Arena Rake makes to their riding arenas. Is The Arena Rake Easy For Both Men AND Women to Use? Yes! This is another outstanding feature. With so many women involved in property care, it was important to Greystone to invest in the development of a very female friendly, lightweight rake that is simple, quick and easy to hook up and to operate. Women are some of our best customers. 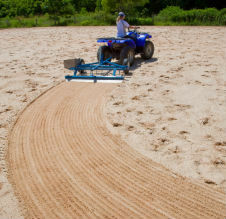 Is The Arena Rake Easy to Attach to Your Quad or Tractor? Again, horse owners are pleased with the “ease of use”. 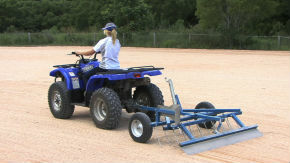 Greystone Arena Rake is very easy to attach with a ball or hitch pin . Greystone America (US/Canadian distributor of Greystone Products), quotes shipping costs individually - but the average is $300 to $395 - depending on delivery location. Every effort will be made to get you your Greystone Arena Rake quickly, and affordably! Call Pasture Vacuums The footing in your horse’s riding arena can affect both his performance, health—and the safety of you both. Let the friendly people at Pasture Vacuums (horse people themselves!) help you get your arena on the right “foot” with the Greystone Arena Rake – contact us today!